A career-spanning collection of the infamous lowbrow master. 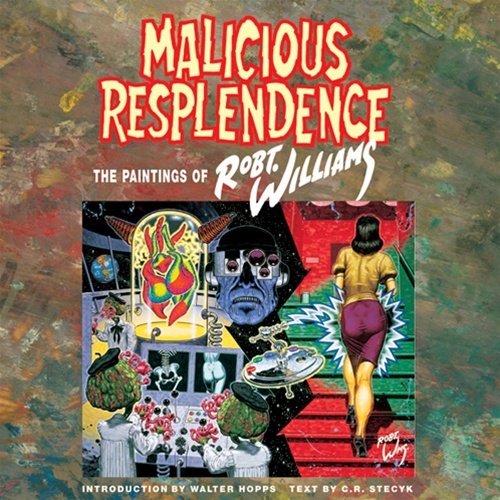 Williams sprang from the custom car culture of Southern California and the roots of the Underground Comix movement (Williams, of course, was one of the founding ZAP artists, along with R. Crumb), ultimately transcending the constraints of both by cultivating his mastery of oil paints and forging a career as the preeminent artist among a generation of imagist painters gathering inspiration from the shadowed corners of contemporary culture. Williams singlehandedly became the model of the “Outsider” art movement, influencing a generation of artists to create without concern for the fine art world, held in contempt by Williams. It’s a feeling which had been reciprocated in kind for years by the established fine art community, although Williams’ sheer mastery of his craft has caused a grudging retreat.